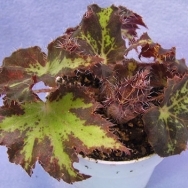 Plants listed here are very small, miniature varieties. 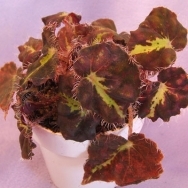 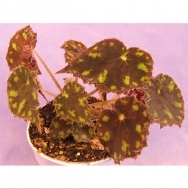 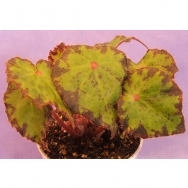 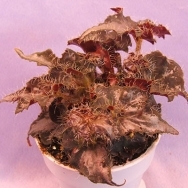 All stay very small-leaved and, at most, can be grown in a 4" or, when allowed to spread, shallow 5" pots. 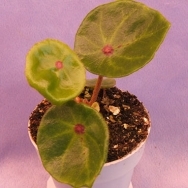 None will grow to more than a few inches in height. 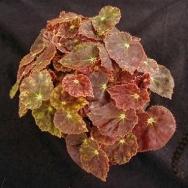 Photos shown are of plants grown by us, and are representative of what plant can look like when properly grown. 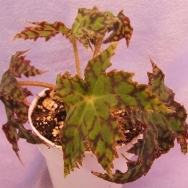 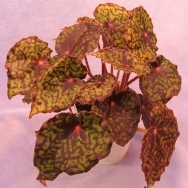 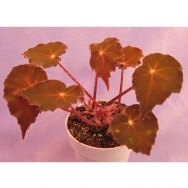 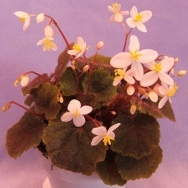 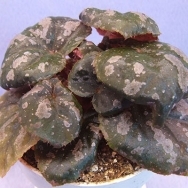 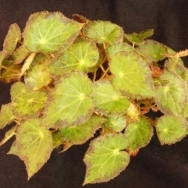 Since these begonias are tropical plants and can be easily chilled, we strongly suggest guaranteed Express mail in winter is selected for shipment during winter months! 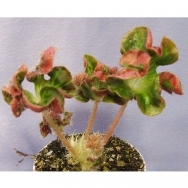 Plants shipped in 2 1/4" pots.